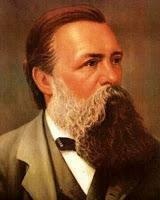 120 years ago, Friedrich Engels died. 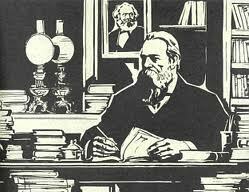 "Let us always honour the memory of Frederick Engels, a great fighter and teacher of the proletariat!" Lenin wrote this 120 years ago in his famous eulogy, which the Comintern (SH) has published in 16 languages ​​of the world. 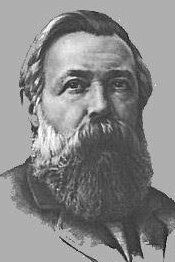 On the occasion of the 120th death anniversary we want to introduce the teachings of Friedrich Engels on Greece which are likely to be little known today. Friedrich Engels and Karl Marx taught that new revolutions are inevitable as a result of crises - thus also the present crisis in Greece. If we read the studies of Marx and Engels on Greece, today, then they remind us inevitably of the present Greek events. At the time of Marx and Engels Greece fought heroically for its independence. After the uprising in the spring of 1821, the National Assembly decided independence on January 1, 1822. Marx and Engels showed great sympathy for the Greek people. Greece has been recognized as an independent state, in particular as a result of the Russian victory in the Russo-Turkish War. After the liberation of Turkish rule, the Greek people came under a rule of a reactionary monarchist regime established by the ruling circles of the European powers. Greece and the entire Balkans have always been a bone of contention between Russia and the Western powers. Marx and Engels referred to Turkey as a "gateway" between Europe and the Orient. "The solution (...) will be reserved to the European Revolution." 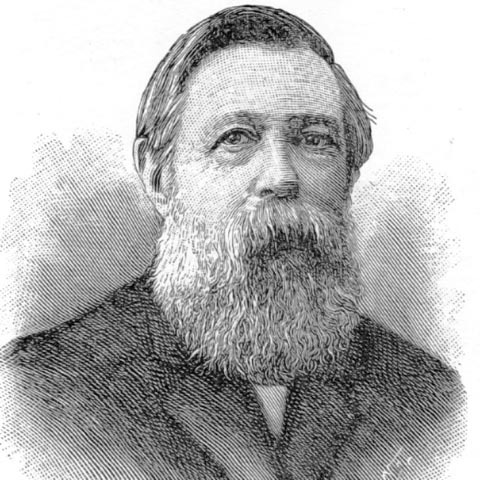 Friedrich Engels described Greece as a "buffer state", that served to the "Great" powers as a "scapegoat or a whipping boy" to maintain balance of power on the European continent (see: MEW, Volume 9, page 27). In order to tackle Greek Revolution, the diplomacy of the European rulers, in that time, was following the concept of "pacification of Greece" - and concerning this instrument of obliteration of the Greek revolution - nothing has changed since those times - thanks to the disservice of the Greek revisionists. In June 1850, the British fleet blockaded the port of Piraeus in order to annex Greek islands that were of strategic importance politically. And today? Today, China has bought half the port of Piraeus for peanuts, to name just one example. The sellout of the Greek "family silver", the privatization of state property, is in full swing. In January 1854 the Greek population rose in parts of the country, which were occupied by the Turks: in Albania, Thessaly and Macedonia. In turmoil, there were also the areas in Akarnania and Aitolia and parts of Ilbessan and Delonia, as well as in Egripo, the capital of Evia. The rebels demanded the unification of Greece. The uprising was crushed by the Turkish government as well as by Anglo-French forces who occupied some Greek territories in May. In 1854, 8000 inhabitants of the Ionian Islands were hanged, flogged, imprisoned and exiled. Women and children were whipped until the blood flowed. "Now the Western powers get hold of the Turkish finances. (...) By a similar bond system Palmerston [a British politician] has demoralized Greece and paralyzed Spain ." (MEW, Volume 11, page 376-377). The struggle of materialism with idealism in Greek philosophy was one of the expressions of the ideological struggle against the reactionary slave aristocracy. Here dialectical thought still appears in its pristine simplicity, still undisturbed by the charming obstacles which the metaphysics of the seventeenth and eighteenth centuries—Bacon and Locke in England, Wolff in Germany—put in its own way, and with which it blocked its own progress, from an understanding of the part to an understanding of the whole, to an insight into the general inter-connection of things. Among the Greeks—just because they were not yet advanced enough to dissect, analyse nature—nature is still viewed as a whole, in general. The universal connection of natural phenomena is not proved in regard to particular; to the Greeks it is the result of direct contemplation. Herein lies the inadequacy of Greek philosophy, on account of which it had to yield later to other modes of outlook on the world. But herein also lies its superiority over all its subsequent metaphysical opponents. If in regard to the Greeks metaphysics was right in particulars, in regard to metaphysics the Greeks were right in general. That is the first reason why we are compelled in philosophy as in so many other spheres to return again and again to the achievements of that small people whose universal talents and activity assured it a place in the history of human development that no other people can ever claim. The other reason, however, is that the manifold forms of Greek philosophy contain in embryo, in the nascent state, almost all later modes of outlook on the world. Theoretical natural science is therefore likewise forced to go back to the Greeks if it desires to trace the history of the origin and development of the general principles it holds today. And this insight is forcing its way more and more to the fore. Instances are becoming increasingly rare of natural scientists who, while themselves operating with fragments of Greek philosophy, for example atomistics, as with eternal truths, look down upon the Greeks with Baconian superciliousness because the Greeks had no empirical natural science. It would be desirable only for this insight to advance to a real familiarity with Greek philosophy." Greek philosophy represents a significant milestone in the development of culture. Marx and Engels estimated the ancient Greek philosophy as very high. 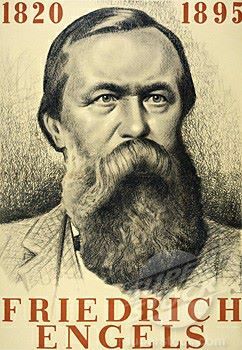 Friedrich Engels outlined the Marxist conception of the main periods of the history of philosophy. He researched the principle of the replacement of the different methods that have prevailed in the main stages of the development of philosophy: The naive dialectic of the Greeks; metaphysics of the 17th - 18th century, the idealist dialectics of classical German philosophy, up to the materialist dialectics of Marxism. 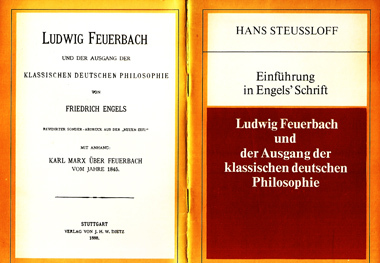 Engels solved in principle the question of the relationship between formal logic and dialectics. He developed in detail the principles of dialectics. He worked out important problems of the epistemology, as the relationship between absolute and relative truth. He also outlined the first ideas of the theory of reflection, which had later been developed by Lenin to a closed theory. "Old legends contain various moving instances of friendship. The European proletariat may say that its science was created by two scholars and fighters, whose relationship to each other surpasses the most moving stories of the ancients about human friendship." a great fighter and teacher of the proletariat!